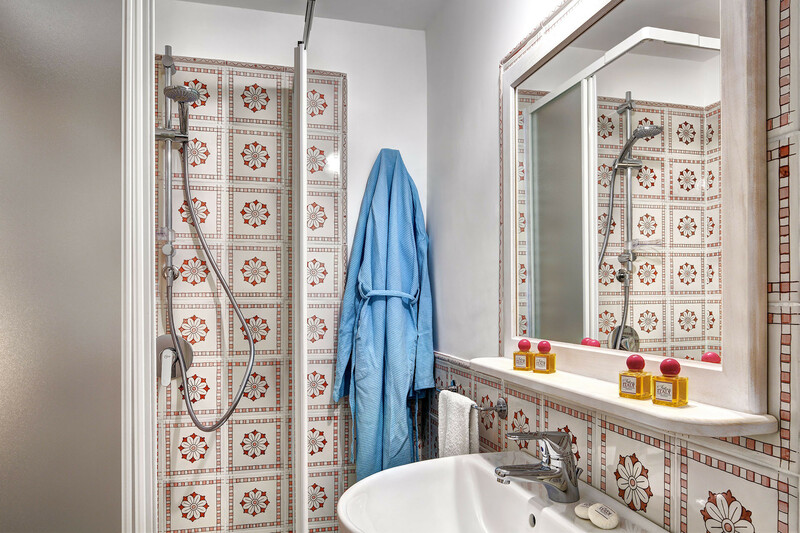 In an elegant 17th Century building, this is one of three fully renovated apartments atjust 100m from the centre of Sant’Agata. 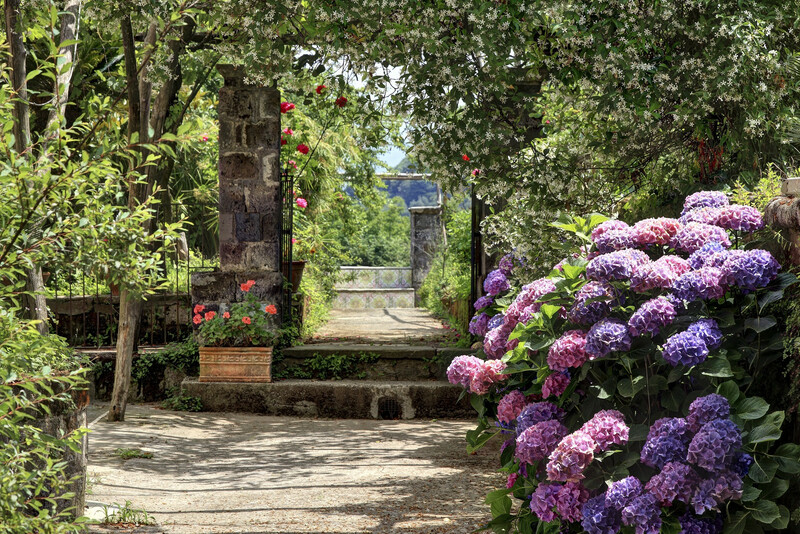 La Dimora is perfect for a relaxing break. 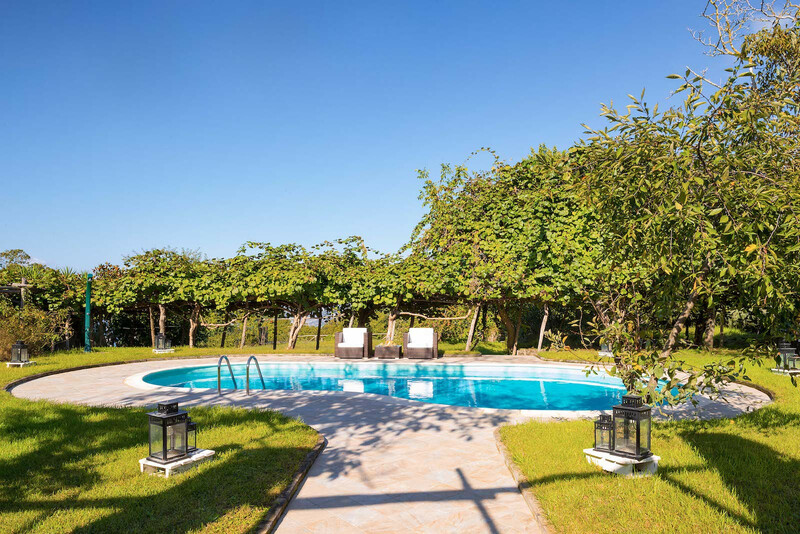 La Dimora 2 is just 100m from the centre of Sant’Agata sui due Golfi, a beautiful resort 9km from Sorrento. 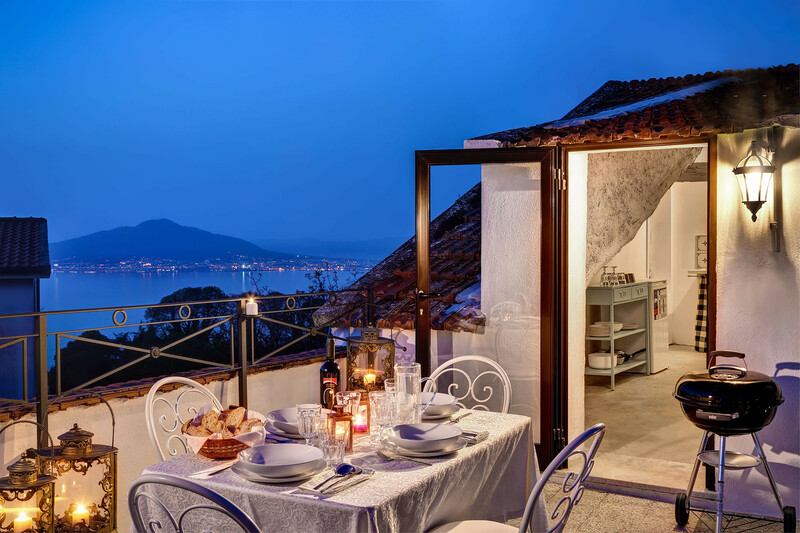 High on a hill above the sea, the town offers wonderful views over the Gulf of Naples and the Gulf of Salerno towards the island of Capri. 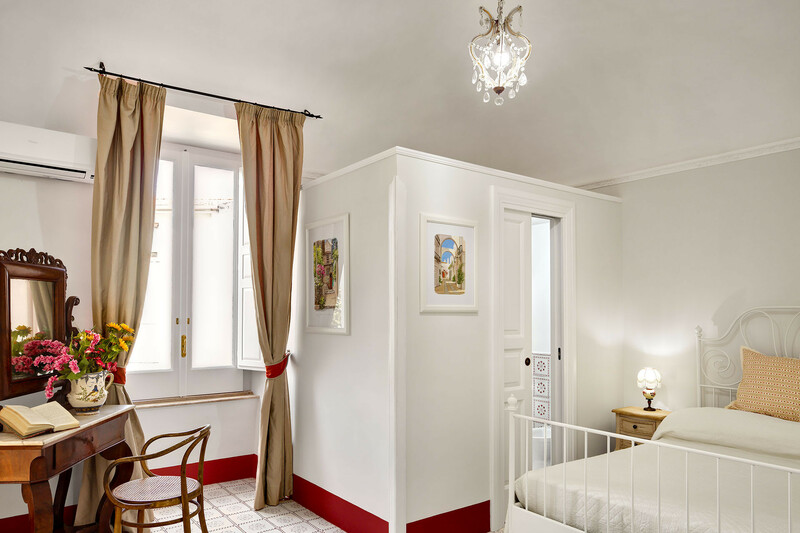 La Dimora 2 is in an elegant building built at the end of the seventeenth century. Now completely renovated to the highest standards, the property offers a wonderful home-from-home for up to four people. The highlight of La Dimora 2 has to be the view from the terrace on the upper floor. Reached via a spiral staircase of 18 steps, the views are incredible. 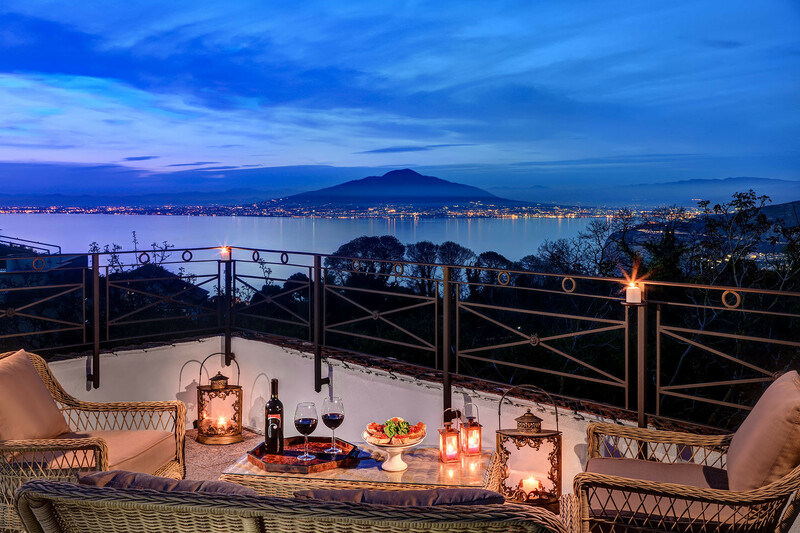 The panoramic vista stretches before you, with Vesuvius dramatically rising from the blue seas. Relax in the comfortable sofa and chairs, as you enjoy a meal with bbq al fresco, or simply relax with friends over a glass of wine as the sun goes down. 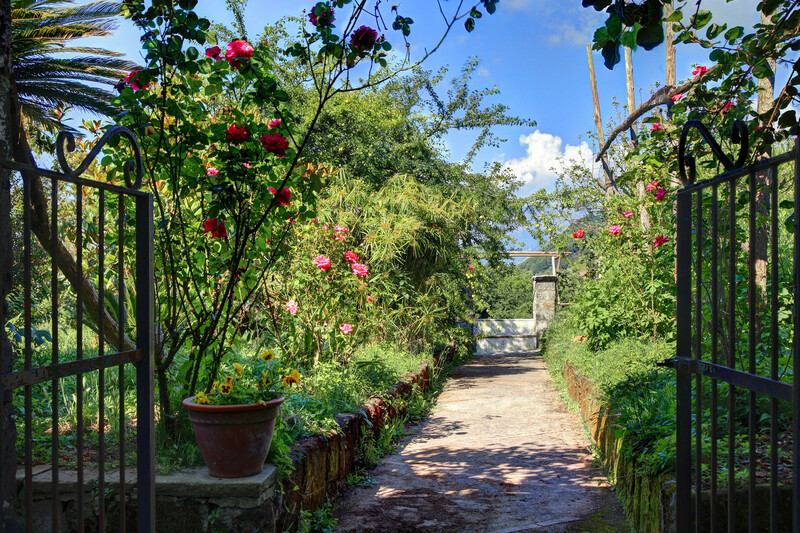 Access to La Dimora 2 is along a private road of about 50m. There is space to park one car. 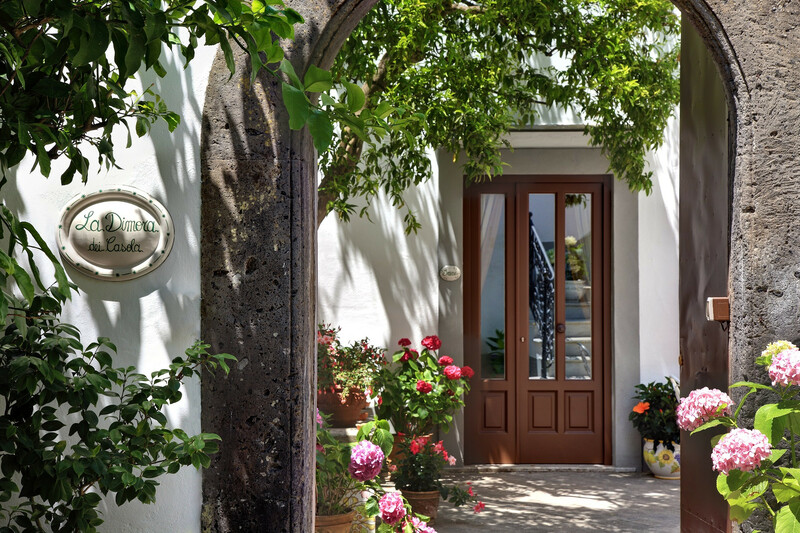 You enter through the ancient original door of the house, giving access to a shared inner courtyard. 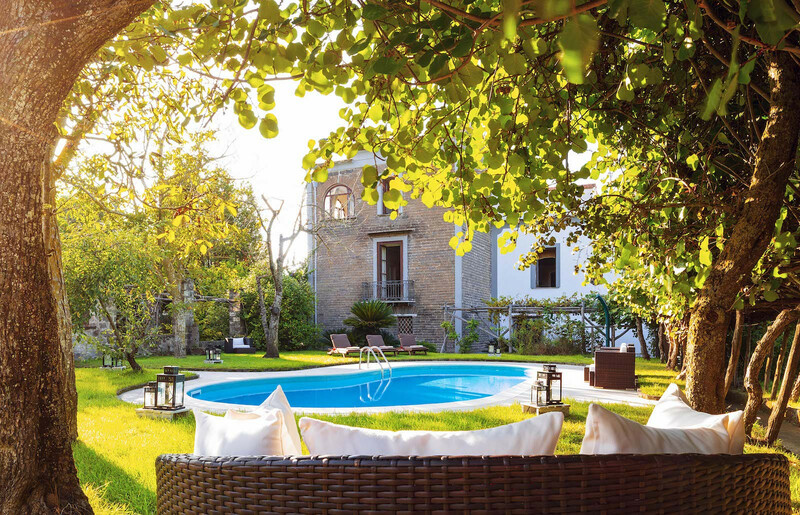 Beyond the courtyard there is a gorgeous garden measuring 3000m2 and shared with the owners, a family living upstairs. 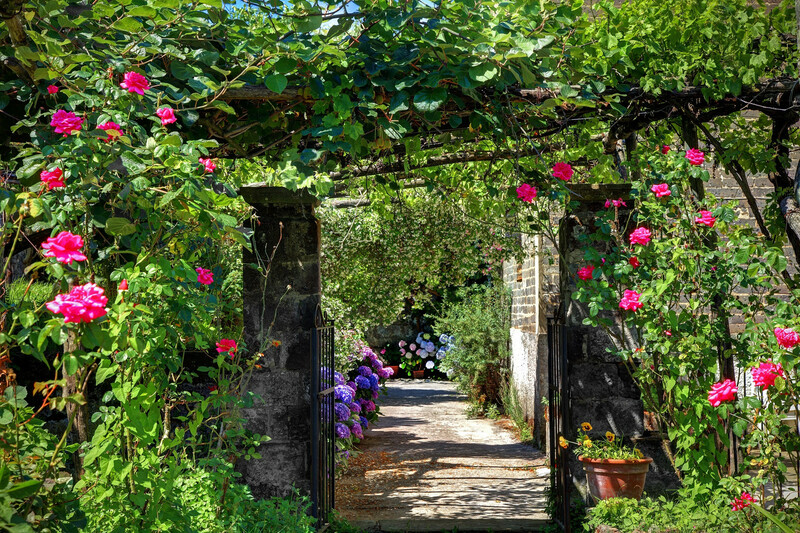 Alive with greenery and flowers, the garden is a wonderful place in which to find a quiet corner to relax, or simply for a stroll. 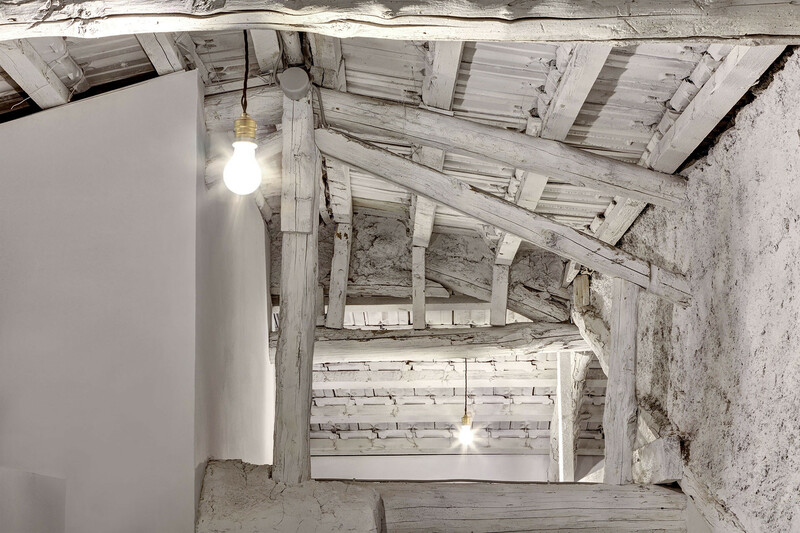 From the shared inner courtyard a flight of 17 stairs will bring you to the entrance of the apartment. 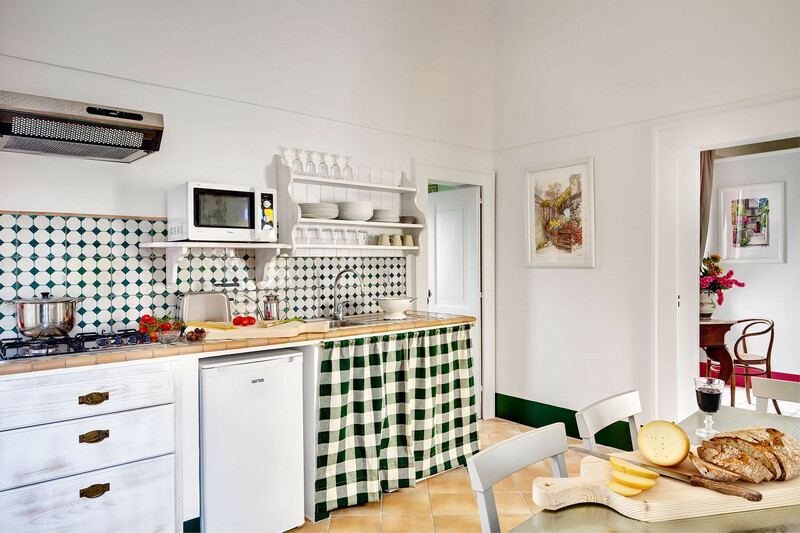 Moving inside, La Dimora 2 is furnished in a charming, simple fashion, with clean white walls and cool tiled floors. 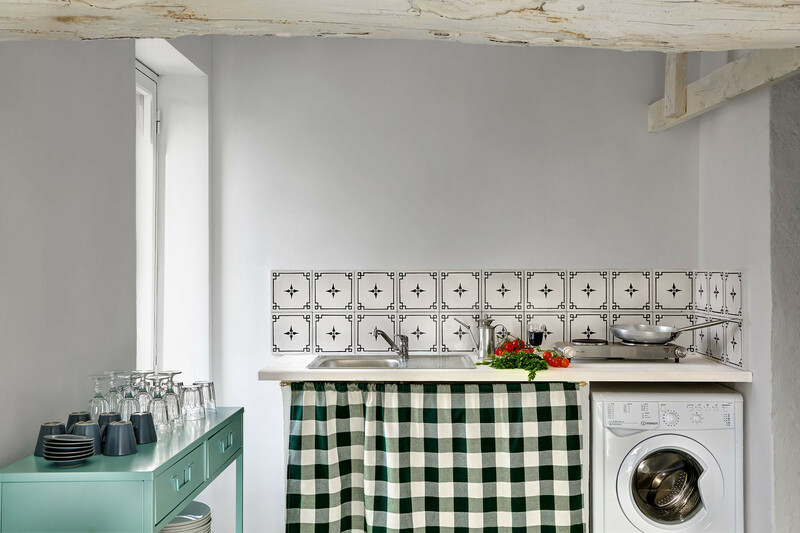 The kitchen offers all of the equipment you will need during your stay, including a four burner gas hob, microwave, fridge freezer, kettle and coffee maker. There is also a washing machine, ironing board and iron in a separate utility room. 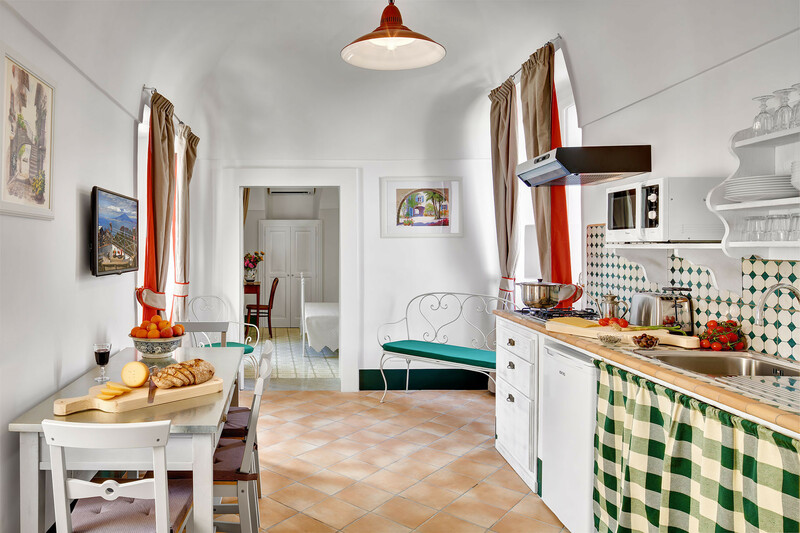 Within the kitchen is a dining area with a table for four, plus a wrought metal bench and chair for relaxing. There is internet Wifi throughout the apartment. 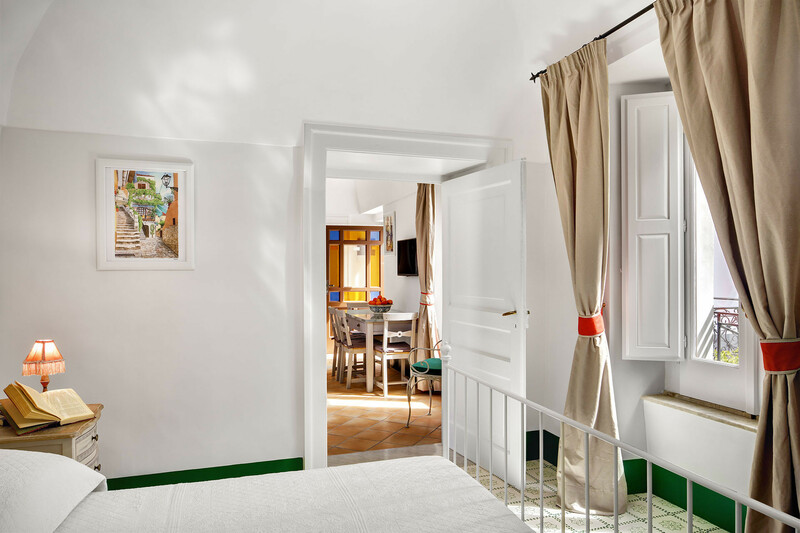 La Dimora 2 offers two double bedrooms, each tastefully decorated, with traditional wooden shutters adorning the windows. 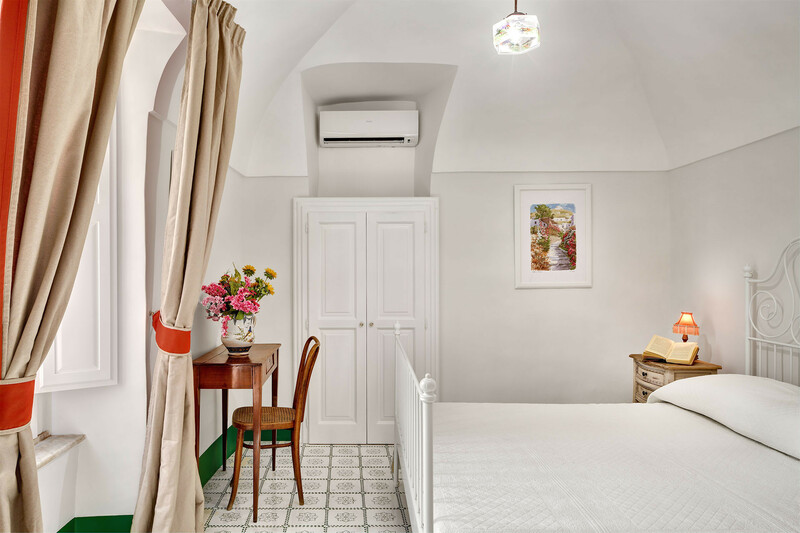 Each bedroom is air conditioned and has ample storage space. 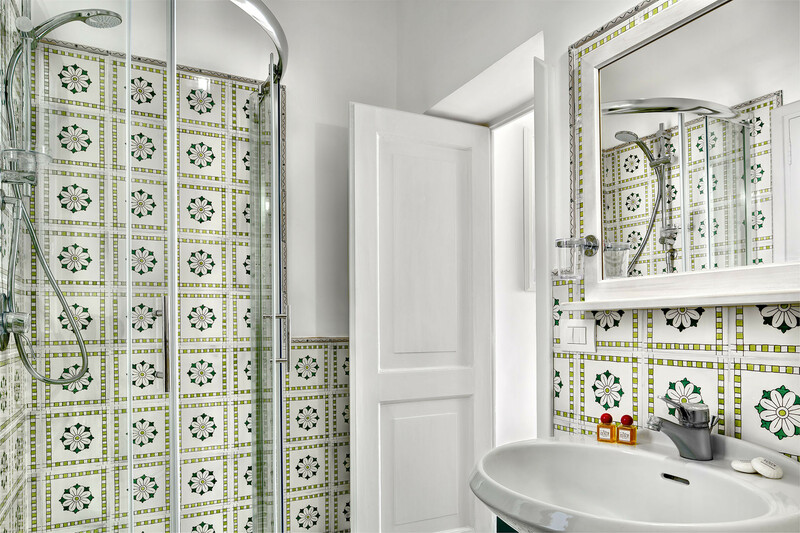 The two bathrooms, one of which is en suite, have modern white fixtures and a shower enclosure. There is much to enjoy within Sant'Agata sui due Golfi, including great shops and restaurants, the parish church, the Monastery of Deserto and various archaeological ruins. If you enjoy walking, there are many trails along the coast and inland. 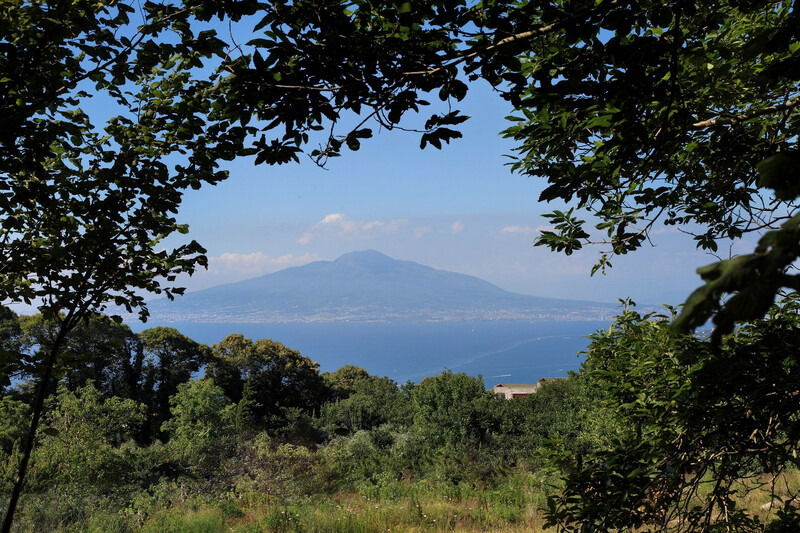 The town is also a great centre for many excursions on the Sorrento Peninsula and beyond. Please note that for Check-ins after 10 PM , a 30,00€ late arrival fee will be required , to be paid by cash to the Keyholder . TV, garden, barbecue, iron, internet (Wi-Fi), hair dryer, 70 m² property, 30 m² plot, air-conditioned, communal swimming pool, Open-air parking in the same building. Highly recommend for coupleswith older children.. very clean and welcoming..
Great place centrally located. Very clean. Great host. Beautiful views. Loved the bells of the church from near by. Great markets down the street. Great restaurants in easy walking distance. 20 min by bus to Sorrento. The apartment was in a good location in S. Agata. Giulia was extremely helpful in showing us where the SITA bus would pick up, timing, etc. The apartment was very clean, has a great view, with two private terraces, and a shared pool. 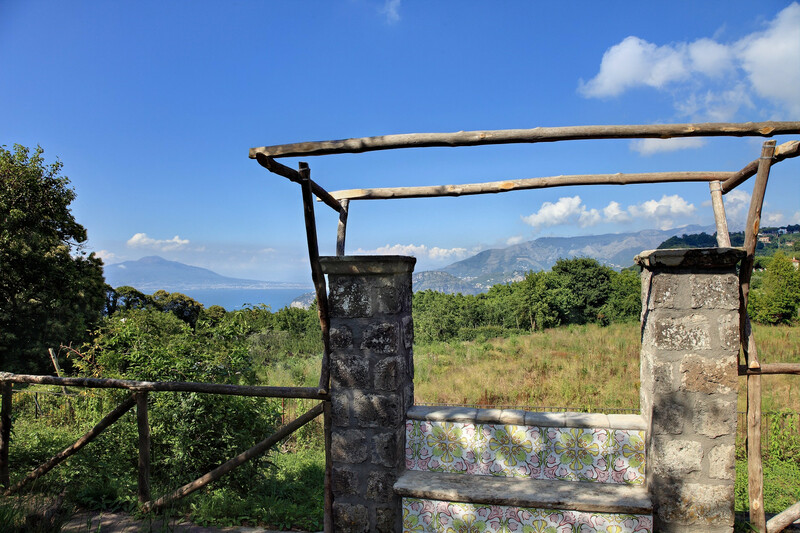 It’s also within walking distance of some great restaurants in S.Agata, and you can even walk down to Sorrento from there! We would definitely stay again.